Apollo 11 doesn't really need any introduction. The trip where humans first landed on the moon. 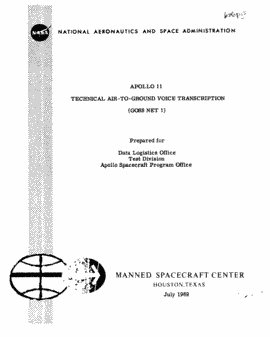 This site allows you to explore transcripts of radio communications between the Apollo 11 crew and the NASA personnel back at Houston.